You’ve probably heard the adage “Failing to plan is a plan for failure.” Take a look at the time you’ve invested at StoneMakers Academy and the StoneMakers Veteran opportunity. As a veteran, there are resources available from the SBA and the Boots 2 Business program. There a low cost loans available through the Patriot Express loan program. Why not take advantage and jump start your business? Remember back in your high school days and facing the task of writing a 25 page term paper? If you were like most of us, the mere thought of this project brought you to your knees. Skip forward to today. You've decided to become an entrepreneur starting your StoneMakers business and seeking funding to grow your company. 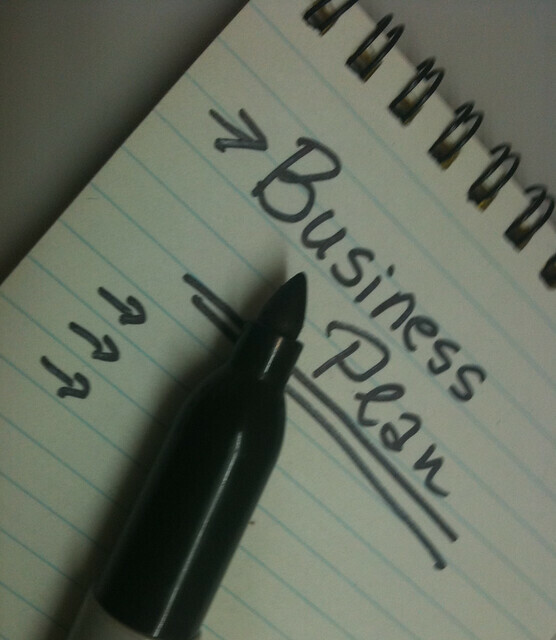 You come to the realization that you are going to have to write a business plan to move your company forward. Actually, the thought of writing a business plan might likely conjure up memories of preparing term papers during those high school days. Admittedly, developing a business plan takes a lot of work. However, the business planning process has so much to teach you about your business and the opportunity in front of you that it is well worth the time and effort required to see the process through to the end. · Offering you a three hundred and sixty degree view of your company, allowing you to examine its practicality and potential for success and growth . · A business plan is powerful tool for making sure that you and your operations team are committed to the same objectives by pushing individuals to balance out any differences they may have into a specific strategy. · A business plan is an excellent method of communicating your perspective, objective, beliefs and goals to the individuals that will help grow your business – associates, clients, workers and financial istitutions. · Helps businesses gain a more in depth understanding of the possibilities and obstacles in their market and sector, and create approaches and strategies that will specifically respond to customer needs. · Your enterprise has competitors, and in the long run your success will be determined by how you set your business apart from that of your competition. A business plan enables you with valuable competitive knowledge and enables you identify how to differentiate your goods, services and to create your unique selling proposition. · The better you comprehend your small business the more successful you will be in creating the right operations team for your company. The business landscape is littered with companies with great products and solutions and huge marketplaces that either didn’t make it or didn’t arrive at their potential due to the fact they lacked the ideal skills, ability or practical experience to capitalize upon its opportunity. · A well-considered business plan will formulate a detailed approach and time-line for execution and functions of the business in the beginning and emerging stages of development. · Enables you to take a look at “what-if” situations and generate secondary plans should your Plan A turn out differently than you initially expected – a circumstance which takes place quite regularly. Appreciate the business planning process. Take time to write a business plan that you are excited to put your name on. It is well worth the hard work. So you’ve decided that working for yourself will give you the greatest control of your future. If you’ve attended StoneMakers Academy, you’ve positioned yourself in a lucrative and growing niche market. Consumer demand for outdoor living areas continues to grow, and the StoneMakers system for hardscape construction addresses customer needs of customization and affordability. If this is your first endeavor, what steps do you need to take to create a viable business for years to come? How do you meet the challenges, as well as reap the rewards, of owning your own business? As a veteran entrepreneur, you’ve got resources available to you, free of charge, from the Small Business Administration (SBA). The SBA provides free Internet and individual face-to-face counseling for small businesses as well as low-cost training to first-time entrepreneurs. "We can help accelerate the learning curve that comes with owning a business," says William Elmore, Associate Administrator of the Office of Veterans Business Development. "We have business development assistance in three primary areas: technical assistance, business financing and government contracting programs." The SBA has Veteran Business Outreach Centers (VBOCs) that offer assistance in outreach, assessment, long and short-term business training, counseling, directed referring, and online assistance to veterans, service disabled veterans, and Reserve business owners and entrepreneurs. Details on individual outreach centers are below. You've earned the right to all the resources to be a success in your own business endeavor. Take the opportunity learn to build the buisness you desire. Becoming a business owner can be one of the most liberating decisions you can make. As a military veteran, you’ve certainly earned the right to participate in fueling the economic engine of the American economy. Did you realize that historically, 41.5% of veterans have been self-employed as opposed to 24.5% of non-veterans? Well, who better to 'live' the American Dream of business ownership, than those who have defended that dream through military service? Business success can be measured in many different ways. First of all, you’ll need to have a passion for what you’re doing. Secondly, you’ll need to learn the skills to help drive that passion. If you enjoy working outdoors and with your hands, StoneMakers Academy will teach you the skills to compete in the landscape and hardscape construction industry using your GI Bill benefits. As more homeowners look to enhance their outdoor living areas with water features, backyard waterfalls, fire pits, patios and outdoor kitchens, the unique StoneMakers system gives you a competitive advantage. Building a business for the long term takes planning and a lot of hard work. It’s not easy to build a successful business, but then neither was your military service. Whether you’re interested in having a business to support you and your crew, or building a large company with multiple crews and employees, you have the resources as a veteran of the military at your disposal. Isn’t it worth taking advantage of it? Take a look at the Boots to Business program and give your future a jump start. StoneMakers Academy has developed The Fast Track To Success Program, a comprehensive program that teaches the skills necessary to start and operate a successful business in landscape construction. Packed into 8 days of intense study, The Fast Track To Success Program is designed to put veterans in business in weeks, not months or years. The curriculum includes modules in sales and marketing, bookkeeping, legal compliance, hiring and managing employees and obtaining funding. The core of the StoneMakers Academy program is focused on proprietary methods in hardscape and landscape construction that allow veterans to create projects that are completed in half the time of traditional methods, with results today's customers are demanding. The school teaches how to build fire pits, retaining walls, backyard water features, custom grill areas, patios and many other hardscape applications. In addition to the initial training, StoneMakers Academy has an open door policy for continued training. The main objective is ensuring the success of the students. Continued technical, marketing and business support is just a phone call away. If a graduate of the Academy desires additional hands on training, they can attend any future training class. This insures each student will become an expert in StoneMakers systems for hardscape and landscape construction. The StoneMakers system for hardscape applications has been taught for over five years to hundreds of landscape professionals. The proprietary methods have allowed contractors to create award winning landscape features, and add exclusive services to help grow their businesses. Sensing a need to provide an opportunity to veterans to develop their own businesses, the StoneMakers Academy was founded. StoneMakers Academy is a licensed technical training institute in the State of New Hampshire, and qualified veterans can participate in the program with their GI Bill benefits covering the tuition. Learn about veteran opportunities in landscape construction. Download the free veterans guide now.